I'm Troy Irvine, Real Estate Agent with RE/MAX Grande Prairie. As a motivated, straight-to-the-point Realtor I would like to take the chance to talk to you about real estate in Grande Prairie and how excited I am for the opportunity to represent your home. Troy Irvine is a full-time, licensed Realtor® who has closed plenty of transactions involving residential and commercial property. Troy draws on 20 years of sales experience in Grande Prairie as a respected name in the auto industry, as he took the plunge into the real estate world. Since then, he has been making huge waves in Grande Prairie real estate. He’s made a reputation as a professionally confident agent, a refreshingly straight-to-the-point adviser and a guy who is simply a pleasure to have around. He can leverage tight working relationships with his buyers and sellers to put together deals quickly and for top value. We at Troy Irvine's Real Estate team believe in the value and care that went into your home for sale, and we'd be proud to highlight them to our buyers. Troy has been the top 3 agent in his brokerage of 48 agents* in 2016 and 2017 before joining up with RE/MAX. He’s also in the top 6% of agents in the whole city, and it’s all thanks to his wonderful clients and his lovely family who inspire him to work his hardest. Always chasing the next level, he’d be honored to do his best work yet with your property. 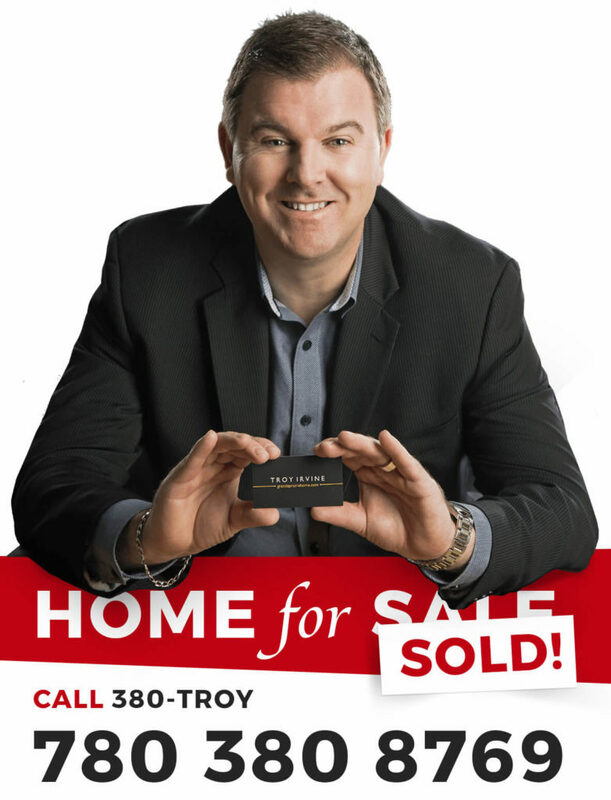 Troy Irvine and your home for sale makes for a winning combination, and he has the plan and the aggressive marketing to sell your property quickly and for the best price available. Find out what Troy can do for your sale today. * Sutton Group - Grande Prairie Professionals agent ranking based on sales volume in 2016 and 2017. Troy knows exactly what buyers want, and can play up the features that make your home unique in the current market. He can market the improvements you have invested into and how they make your property stand out. With decades of experience in the business of selling, Troy can help buyers discover the advantages of your home they did not even know they were looking for. Troy knows the local market day-to-day situation. He has the connections to know where and when the most reputable buyers are looking for a new home and the price ranges they have in mind. 20 years of sales experience in Grande Prairie lets him reach the buyers who will be the perfect for your sale, way before the competition does. Troy Irvine knows and uses the latest when it comes to staging homes. With more buyers looking for homes online, Troy knows how to make an impression - with videos, 360 camera views, social media marketing, and aerial photos snapped by drones. He knows how to take online shoppers above, around and into your home and let them imagine themselves already living in it, getting them excited for the sale. Among real estate agents Troy Irvine has a unique network that cuts across a wide range of demographics. Troy can get a wide range of buyers from older, established families looking for your home to new buyers looking to move into the neighborhood. His connections ensures that your home will have potential buyers constantly coming asking after your listing. 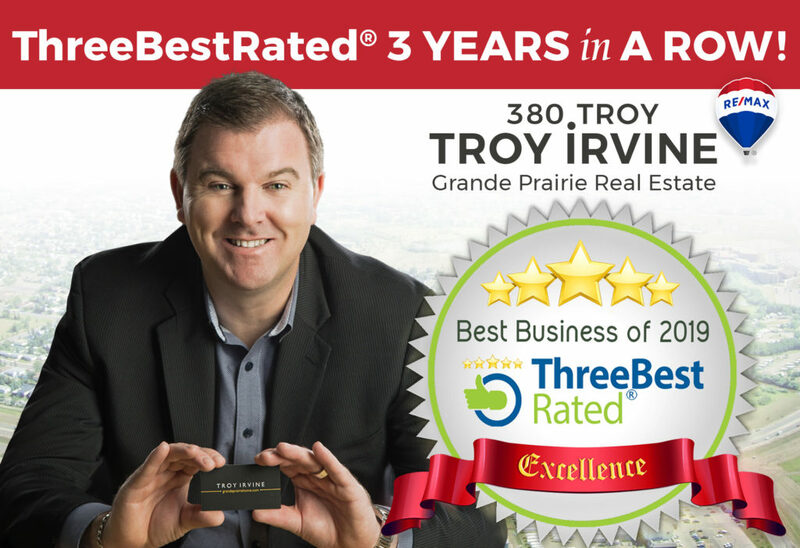 Troy Irvine has been doing sales in Grande Prairie for more than 20 years, and combined with the beauty and outstanding value of your home, it's a sure-fire recipe for a quick and hassle-free home selling experience. 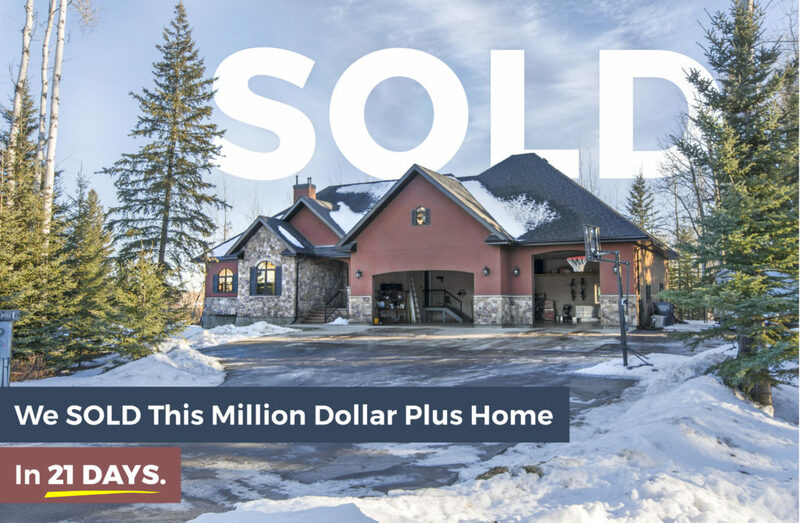 Troy can motivate buyers into a quick close of the sale, and he will ensure a smooth and quick selling process that's responsive to your family's needs. 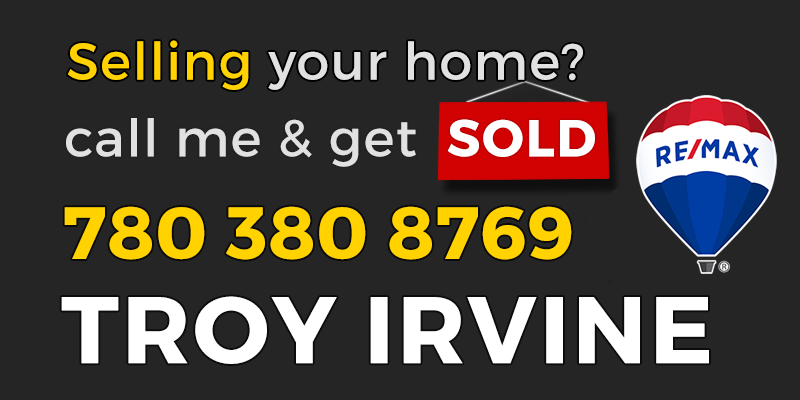 Get in touch with Team Troy Irvine today and ask about the FREE Home Evaluation! Hire Troy for your sale and you hire an entire team - Realtor, Marketing Expert, Real Estate Assistants - geared to put your home in front of social media and the network of buyers of the professional real estate industry. 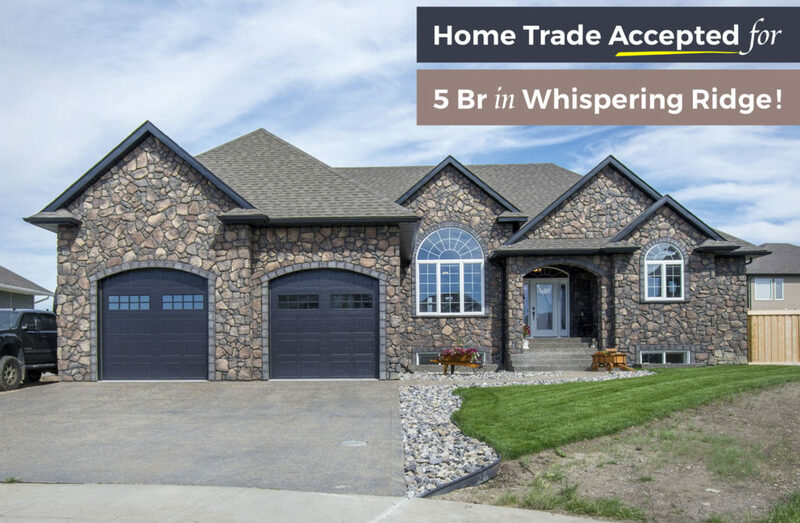 Get Troy and you also get the benefits of his business connections built over 20 years of sales in Grande Prairie, giving your property exclusive access to buyers who can give competitive offers in a shorter time. Sell with Troy and you also work with a network that covers multiple demographics. His unique network will give your sale the advantage of going viral with the power of word of mouth advertising. Recognized in The Real Estate Community. 5 Star Professional Service That Wins Sales. Time is money, and Troy will save you a lot of it. Troy will call for an acceptance or counter offer within 24 hours for a decisive close of a sale. Troy strongly believes in the beauty and value of your home. He will personally invest his own money to get your property the best presentation, so it can sell for top dollar in the fastest time. Troy sells with a plan. With aggression. With RESULTS. He will go above and beyond to put that SOLD sign on your house.